My favourite makeup looks consist of bronzed, glowing skin - all year round, come rain or shine. Naturally, I'm not blessed with an olive skin-tone, nor do we get enough sunshine to catch a deep tan here in the UK. Instead, I have to rely on my trusty bottles of faux glow and a generous sweeping of bronzer. From powders, creams and liquids, I've tried a whole host of formulas thanks to my obsession, but there's a top tier that I consistently go back to. 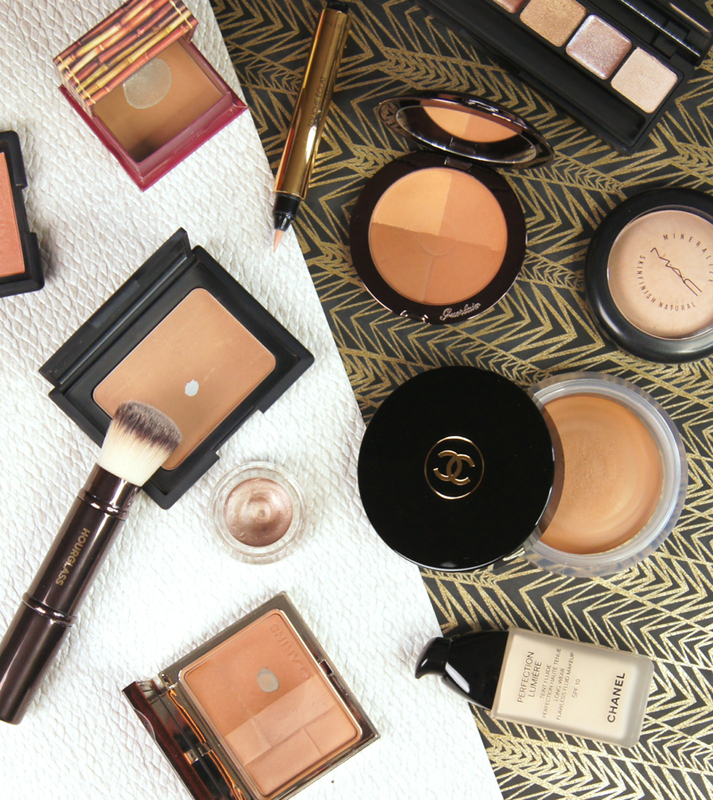 First up is the swoon-worthy Guerlain Terracotta Four Seasons Bronzer. If I was forced to pick just one bronzer to use for the rest of my life, then this would be it. Not only is the concept behind the bronzer just genius, but the quality of the formula is perfectly on-point, too. Giving you four shades and tones, all graduating in depth, you're able to completely customize your colour with the one compact. I have the shade Brunettes, but this compact comes in six variations, for even more of a precise skin-tone match. Depending on the season, your mood or the look you want to achieve, you can use just one of the shades, or swirl across the lot. As all four are totally matte, they're also great used to sculpt the face. The powder is so buttery soft and velvety that it's totally fool-proof and blends like a dream. There's never a patchy finish or muddy colour to correct with this bronzer and I never find myself applying too much and regretting it. Of course, perfection always comes at a price and this bronzer certainly ain't cheap, but it's such a clever product that it's definitely worth a splurge for any bronzer enthusiast. Another bronzer that gives you the ability to tailor your colour to your taste, is the Clarins Bronzing Duo. Comprising of just two, differing shades, this is a slightly simpler version of the Guerlain bronzer, but the lighter half is matte and the darker half contains a large helping of golden shimmer, which is visible in harsh lighting. Clarins' duos are available in three shades, 01 Light, 02 Medium and 03 Dark, of which I have 02. Personally, I find the colours to be great used to give my face some golden colour, but I'd never use this palette to contour with, as the darker shade in particular is very warm. Texture-wise, the powders aren't quite as soft as others, but that prevents you picking up too much powder on your brush and going over the top, as easily. Providing an SPF of 15, the mineral-based powder does contain titanium dioxide, which is something to be aware of if you plan to wear it whenever you may be photographed using flash. My next pick is a bit controversial, but oh so luxurious. Chanel's Soleil Tan De Chanel Bronzing Base is a total marmite product and only comes in one shade. Whilst it leans on the orange side for a lot of people, I adore the warmer tone and find it compliments my skin well when I've fake tanned or been traveling. As it's a silky smooth, almost gel-like cream, it leaves skin looking so much more healthy and glowing than a powder formula ever could. It does offer a slight hint of coverage and has the ability to even out the complexion and mask minor imperfections. So, if you're confident enough to go bare-faced, but just want something to boost a pasty complexion, then Soleil Tan De Chanel is ideal. Although the cream is solid and thick in the jar, it just melts on to the skin and doesn't feel at all heavy or suffocating. One thing to note, is that this bronzing base does contain that signature, apricot fragrance synonymous with Chanel products. Although it doesn't cause any issues for me, that's something to bear in mind if your skin is particularly sensitive. A total classic, Nars Laguna Bronzer is a must-have for any beauty-obsessive. I haven't tried any other shades from their range, as Laguna simply hits the nail on the head for me. As it contains the slightest sprinkling of shimmer, it really leaves the complexion with a gorgeous glow that a matte formula can't quite achieve as well. But, the golden glints are so finely-milled that they aren't obvious when worn. Again, this is another powder that is so soft, creating such a smooth and even finish on the skin. Being so strongly pigmented, just one gentle tap of your brush on to the pan picks up more than enough product. 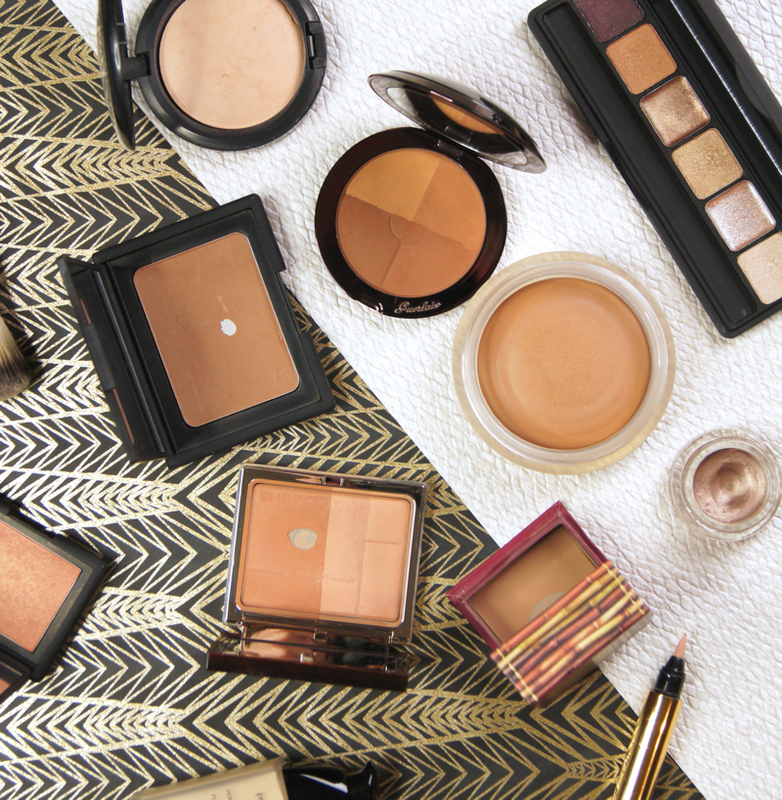 So, although the compact is only slim and doesn't appear to hold much, it takes a while to hit pan and use it all up. Just make sure you're careful with the compact, as one downside of the slim packaging and soft texture is that the powder can easily smash and crumble when dropped or bashed around in a makeup bag. If you want a bronzer that also doubles up as a contour powder, then Benefit's Hoola Bronzer is my ultimate favourite. Totally matte and with no red or orange undertones, it's a flat, neutral colour that can sculpt the face in seconds and quickly carve out those killer cheekbones. As with the whole line-up of Benefit's box powders, the texture is so smooth that the colour blends seamlessly. Strongly pigmented, it only takes a quick dust of a brush to pick up plenty of product, but it isn't so powerful that you're left with streaks or patchy areas on the skin if you apply in a rush. As the colour isn't too warm, it creates more of a natural, shadowy look, yet isn't as grey or ashy in tone as contour powders, which can sometimes look odd on warmer complexions. But, it also looks amazing when used on the high points of the face, too, making it a handy, double duty product for packing in your travel makeup bag. Great picks!!! Hoola by benefit is always my ultimate fave! nars laguna bronzer is just so soooo good. my favourite at the moment has to be the bronzer in the charlotte tilbury filmstar bronze & glow. 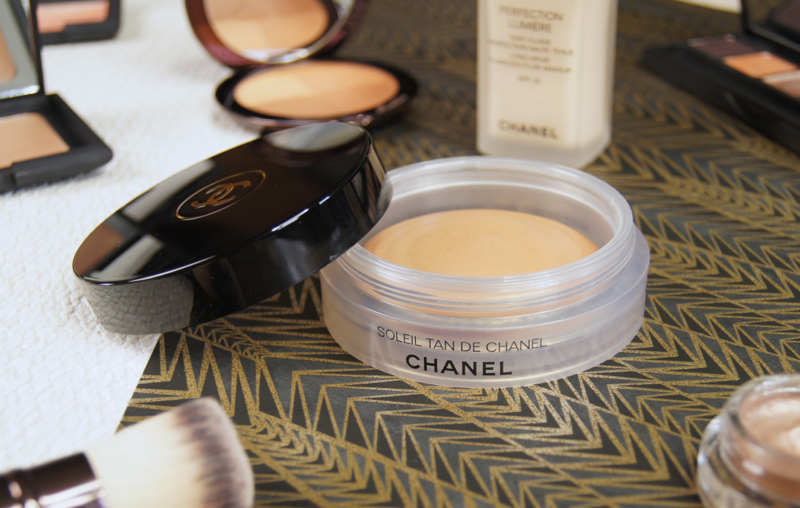 I love the Chanel Soleil Tan it's one of my go to bronzers especially in the summer and when traveling! I'm yet to try the Benefit Hoola but I have had my eye on that for a lonnnng time! 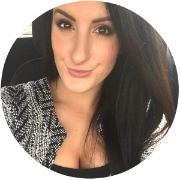 I have wanted to try out the Benefit Hoola for a long time now, I have heard so many amazing reviews about it! I'm super pale so I don't tend to reach for bronzers too often, but when I do I always go for Laguna by Nars. I think that's such a lovely shade and not too much shimmer in it either! Sadly, NARS Laguna doesn't show up like much of anything on my NC25 skin, it's too yellow-golden to give me a natural tan look. I do love Benefit Hoola, but my all time favourite is Tartes Park Avenue Princess Matte Bronzer- I've bought it sooo many times!